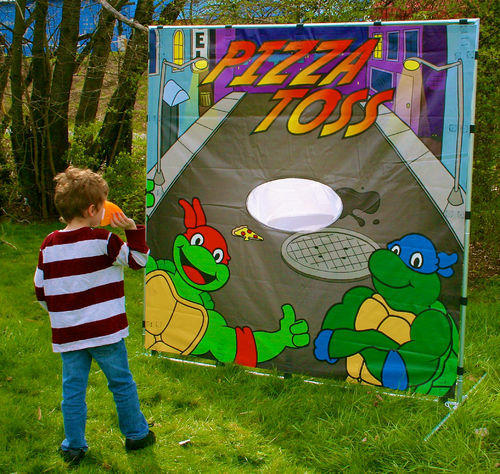 Pizza Toss is a carnival game that is fun for kids and adults. 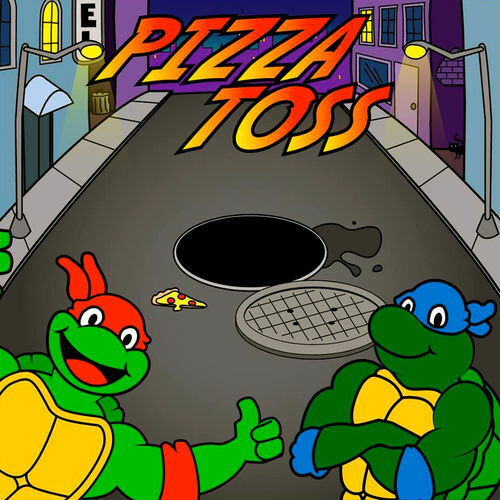 Players try to toss the plastic pieces of pizza into the hole. The first to get all the pieces in wins! This game can be set up in less than 5 minutes and can be used indoors or outdoors.